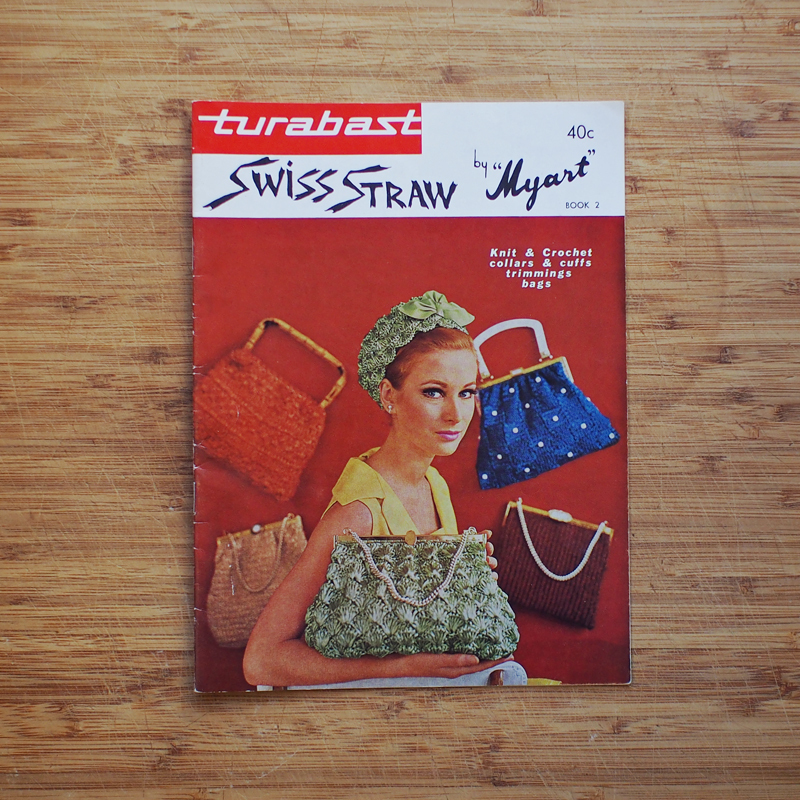 There’s a special kind of craziness reserved for vintage knitting patterns. It was that very craziness that attracted me to collecting them in the first place. 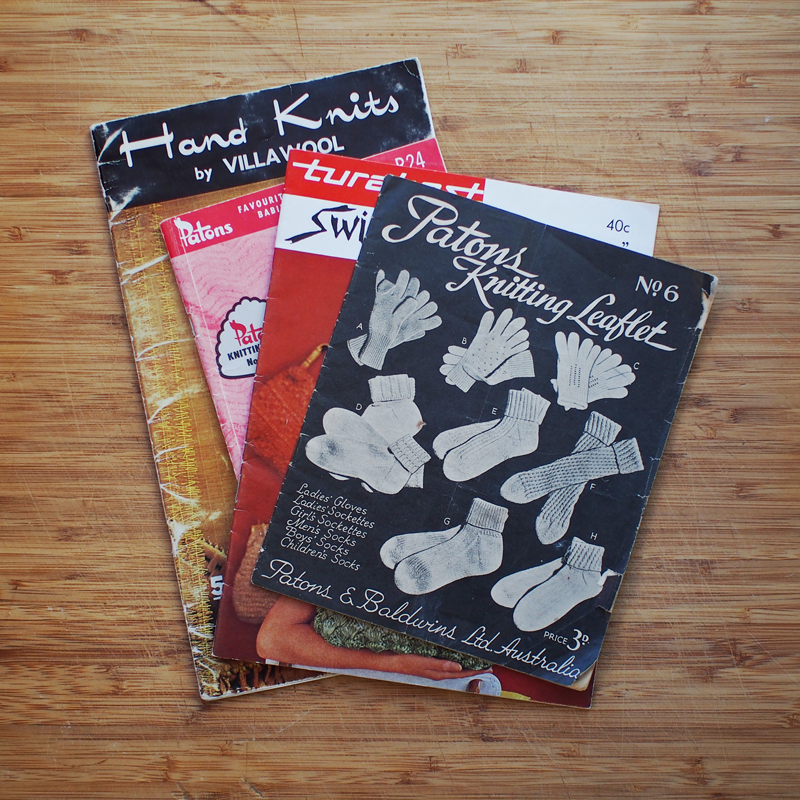 Yes, that’s right: I began collecting old knitting patterns because I adored their insanity, not because I had any plans of making something from them. This changed, of course, but I honestly think I never would have picked up my knitting needles again if it weren’t for the glorious madness I was accumulating in every op shop I visited. The sixties and seventies are my favourite period, although the fifites deserve an honourable mention for their men’s pattern books where gentlemen are either just standing around, casually smoking with shotguns hooked over their arms or they’re sitting in a comfy chair while their women bustle around them, tending to their every need. As nutty as that may be, it doesn’t hold a candle to the multi-coloured crocheted men’s vests of the seventies or my all-time favourite sixties pattern book, which I call ‘Shenanigans in the Library’ and will one day share with you and you will understand everything. All of my favourite patterns in the socks and gloves book seem to have been designed for children, which is somewhat disappointing. I’m determined to make at least one of them, though – I’ll just have to adapt it a teeny bit. Even though there are plenty of modern patterns for accessories such as these, I’ll never buy them. It’s just too much fun to use a decades-old pattern like this and swan around in a pair of socks straight from the 1940s. There’s nothing like it! This one won me over with the promise of knitted and crocheted bags, but it gets even better: you can make headbands, too. See that… thing the model is wearing on the cover? I could totally make that if I wanted and then I could head on out, confident in the knowledge that my head… thing matched my handbag. This? Oh, this is just a crocheted dress and matching coat. Isn’t it all kinds of amazing? It doesn’t use wool, though. Oh no. It uses crocheting cotton, which is much finer. It’s in this pattern that I believe vintage style meets complete insanity because that is one gorgeous dress but the hours of painstaking work that would go into its creation almost belie belief. And yet, I rather want to make it. That Swiss straw!! I love it… and I would totally wear the matching dress and coat set, if someone else would make it for me, that is… any bored crocheters out there? You should see some of the other coats and dresses inside! They’d take forever to make but they are uniformly gorgeous. Yes, every now and then I remember it exists and lose quarter of an hour of my life laughing at it. NO REGRETS. If I made the dress, I’d be too afraid to wear it. What if I spilled on it? snagged it? But, it is charming. It does seem almost too lovely to wear. Or move in. My worry is that I’d spend a year making it and then discover it didn’t suit me at all, in which case I’d probably hang it on the wall so I could just admire it. Same…but it’s so fabulous that I’d just really love to have it…because it’s so pretty. I shouldn’t type things when I’m sleep deprived. Merely being in its presence would be enough! 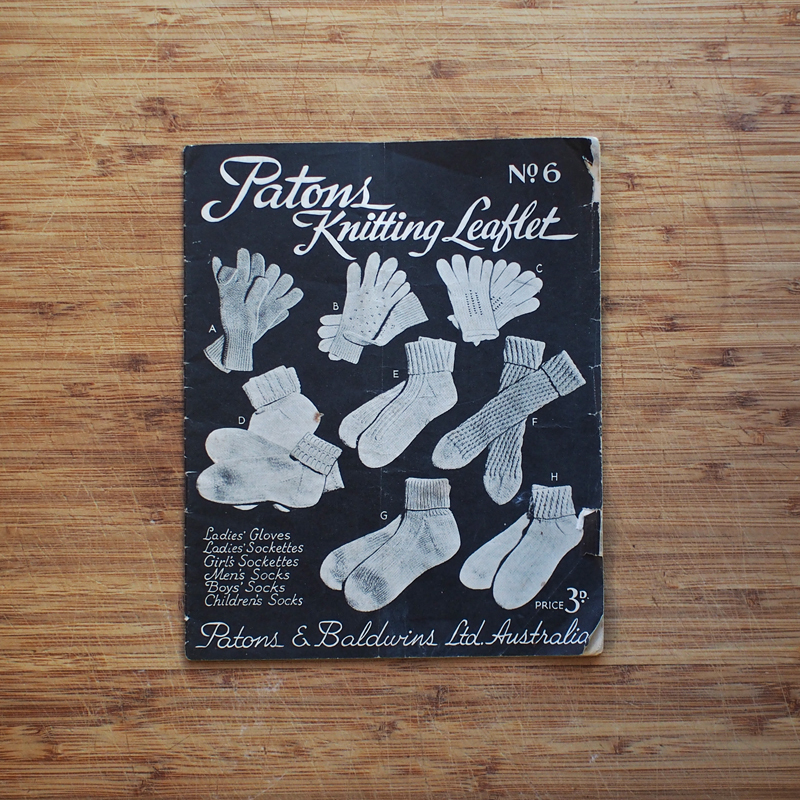 Non crafters would never understand that vintage knitting patterns could be laugh out loud funny! I LOVE the headband- matching – handbag set; mainly because at first glance it almost looked like a lettuce sitting on her head! (had to enlarge the picture to check, nope, no vegetable matter involved!). I didn’t realise it was a hat myself until I had a closer look when I was back home. This is taking matching accessories to a whole new level – it’s not enough to match hats and shoes when that leaves your handbag completely out of the equation! Non-crafters are definitely missing out on some worthwhile craziness. Oh do! 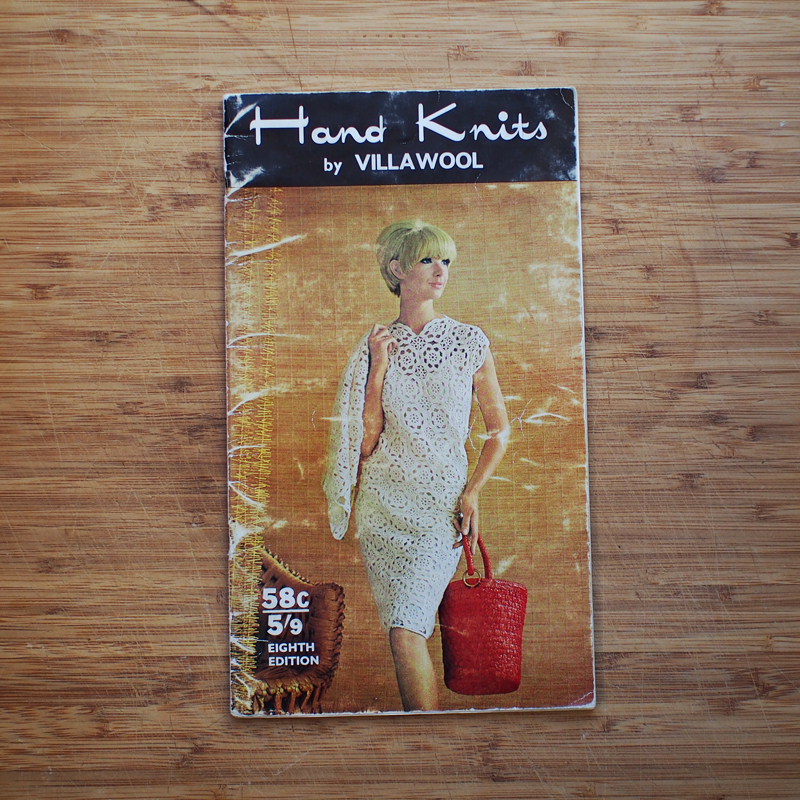 I have been known to buy pattern books purely because there was a knitted dress in them – they’re just too brilliant for words. Love it! I want a head thing to match my purses – one for each purse – and I have a LOT of purses! It’s going to take a while to make them all, I think! I enjoyed your post very much. Funny how we can get obsessed with our collecting, isn’t it!! There are plenty of different designs inside, so I’m sure you’d be able to come up with some unique additions to your accessory wardrobe! I only wish I could have an entire room to myself! !